Corner of Boylston and Charles Streets. 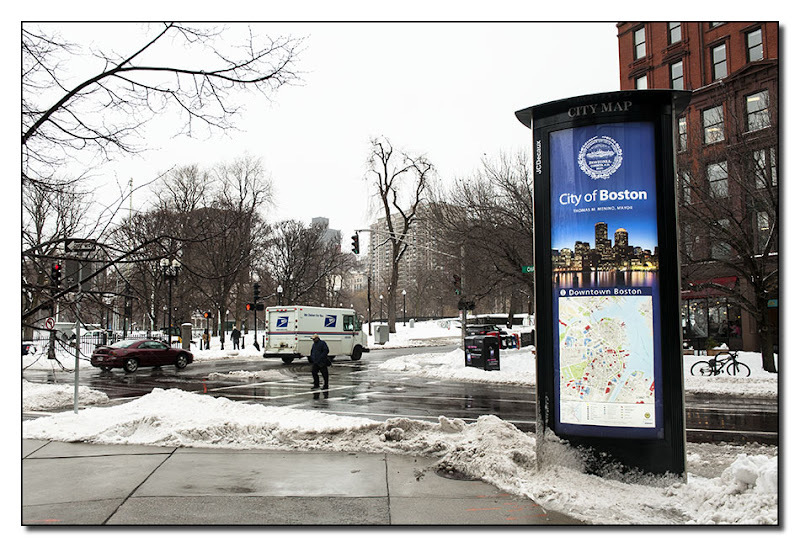 So beautiful sign of the Boston City, and I like the winter scenery there! And still so much snow, not even a bud in sight! It seems you'll have a snowy easter!